Willi Orban scored two headers as RB Leipzig won 3-0 at struggling Hannover in the Bundesliga. 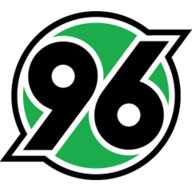 In what was second-bottom Hannover's first game since parting company with boss Andre Breitenreiter and replacing him with Thomas Doll, the visitors went ahead just before half-time when Kevin Akpoguma fouled Matheus Cunha in the box and Marcel Halstenberg converted the resulting penalty. 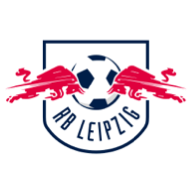 Leipzig captain Orban doubled the advantage as, with the home defence slow to react, he nodded in a Halstenberg corner that bounced towards the far post in the 64th minute. And with five minutes of normal time remaining, Orban headed past Michael Esser once again, this time connecting with a corner delivered by substitute Emil Forsberg. While Leipzig, in fourth, go six points clear of fifth-placed Eintracht Frankfurt ahead of the weekend's matches, Hannover remain three points adrift of the relegation play-off spot, occupied by Stuttgart.